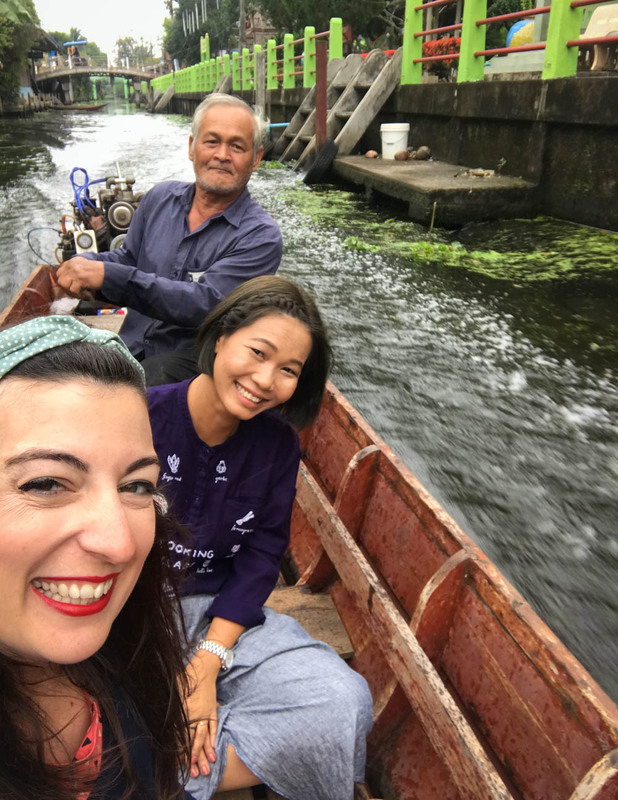 If you’re looking for a food tour or cooking class in Bangkok, look no further! My friend Chin of Chili Paste Tour is the real deal! This girl knows her food, is a seriously good cook and she’s friends with most street vendors – so she has many stories to tell. I first met Chin in 2013, when I booked a market tour with Chili Paste Tour. I was of course expecting a tour group, shoved in a tour bus, driven to a market where we’d be shown a few selected vendors and their products. But no. As I descended into the hotel lobby, there was Chin, with a huge smile on her face, taking me to her little car. Turns out, it was a private tour. Just me and Chin, driving around Bangkok, chatting like long-lost friends and eating so much streetfood that I wished I’d have a second stomach to fit it all in! It felt like spending a day with a friend. And that’s what we’ve become since. 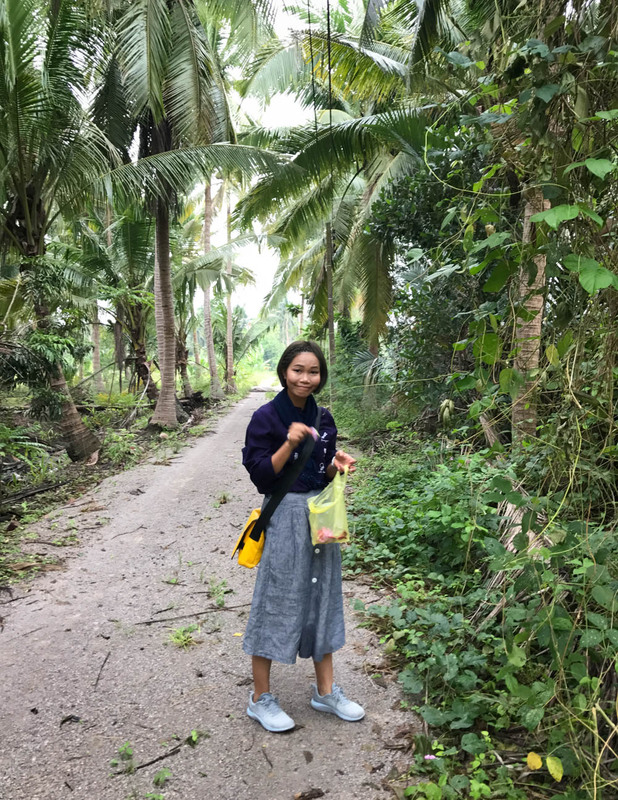 Every year when I go to Thailand, I spend at least a day with Chin, going to markets, eating loads of streetfood, even going on road trips around the country. Chin always gets me to try so much food that I would never have dared to try by myself. She explains the origins of the dishes, tells me exactly what goes in it and how it’s cooked. She also steers me away from some stalls that I’m tempted to try a dish at, saying she knows another stall that makes the best version of this particular dish. It’s seriously amazing! What’s even more applaudable is that Chin is very much informed on what goes into the food. 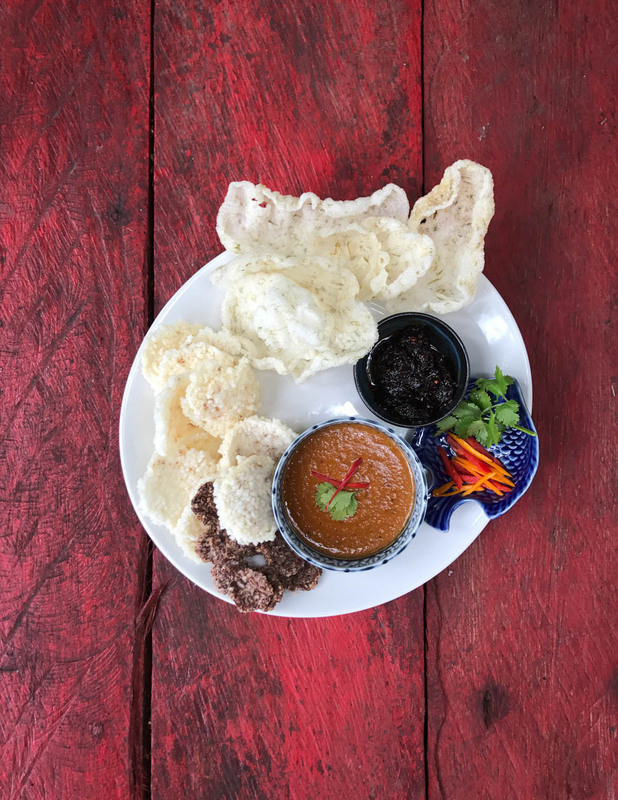 So, people with food intolerances or special diets can join Chili Paste Tour without any worry, as Chin makes sure that everything is safe to eat, no matter what your needs. 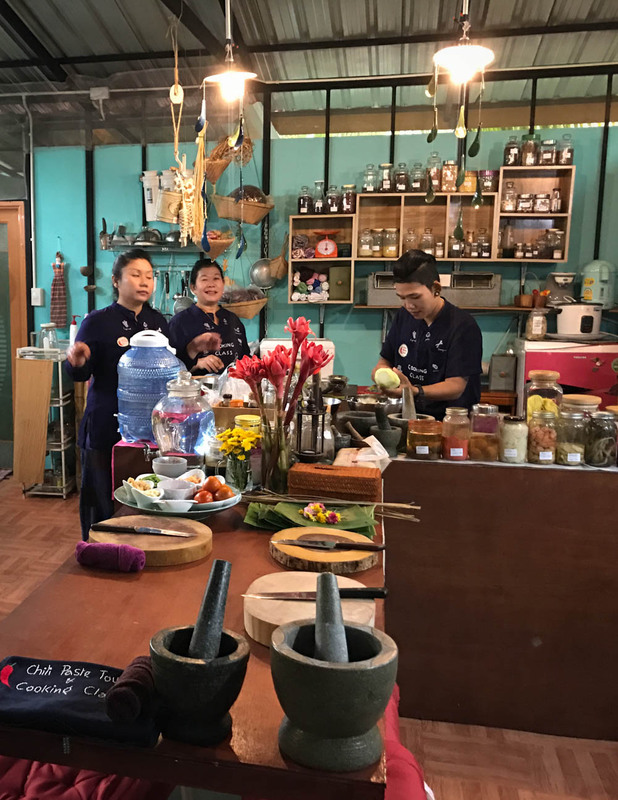 I would highly recommend booking a cooking class in her little cooking school outside Bangkok too. 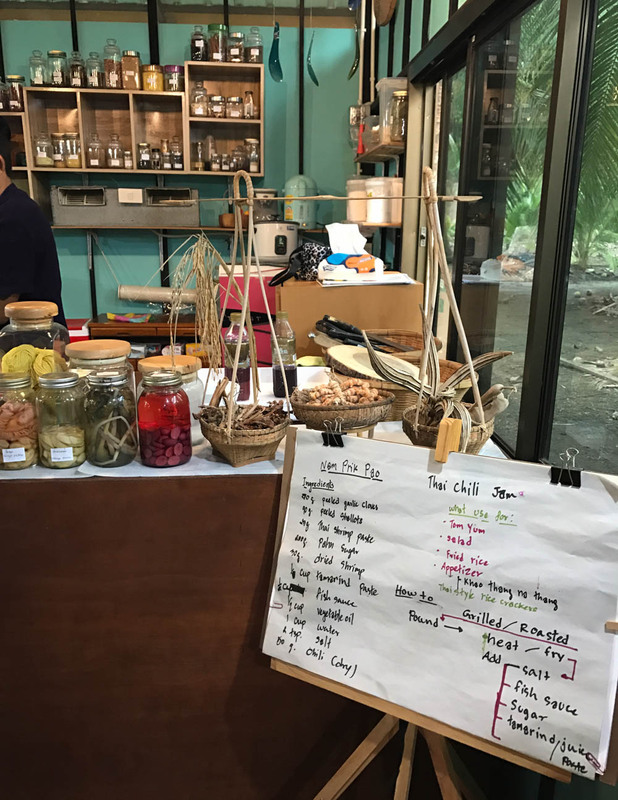 Chin picks you up with her car in the morning, takes you to the market to buy the ingredients and then takes you to her cooking school on a boat. It’s so much fun. And the food is incredibly authentic. 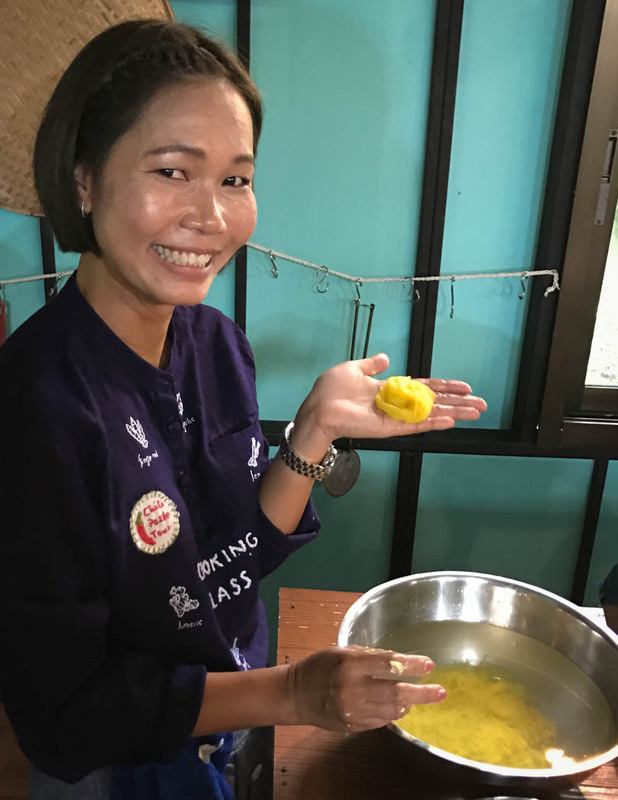 Chin can cook all kinds of non-touristy Thai dishes in a super authentic way, and transmits her knowledge very well. There are no shortcut ingredients here. So, the coconut milk is extracted on the spot – you get to grate a fresh coconut and then press the coconut cream yourself. 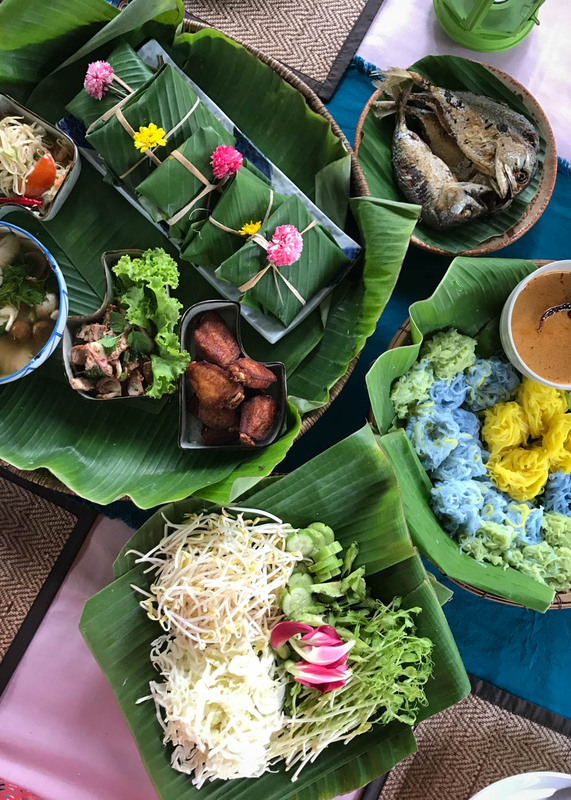 Everything is really eye-opening and makes you appreciate the art of Thai food so much more. All the food tours and cooking class details on Chin’s website: Chili Paste Tour. You can watch me spend a day with Chin and cooking in her school in this episode of ‘Anne’s Asian Adventures’.